Peppytides are very dynamic and flexible while conforming to the constrains of the polypeptide chain. 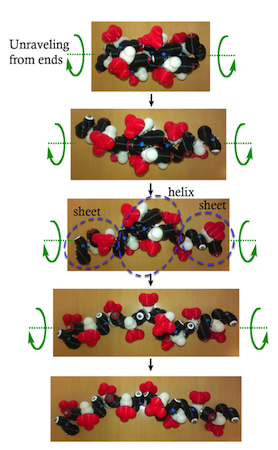 Here we are unfolding the alpha-helix by twisting it from both sides. You can try having fun with the folding and unfolding of other structures as well.